Wedding lighting hire in Manchester, We carry a massive stock of Wedding Lighting, from a simple uplighting job to full venue makeover the choice is yours. It’s important to trust an experienced person with your Wedding Lighting plans, With over 12 years experience in lighting designs we do know what we are doing, drop us an email or phone up for a quote or chat about your options. We are not limited to what you see below, We do carry lots more wedding lighting than we can list on the website. Vintage style Edison Lighting is so on trend. We carry Edison Lamp Clusters on small boards for over tables or big boards for the top table, or as a backdrop for your ceremony or behind the top table. We stock 40w real Edison lamps in different styles and 6w LED if power is a problem. We use high powered LED uplights they are the latest RGBWA type uplights flicker free (Suitable for TV Studio) 100% silent Up Lights that are able to make amazing golds along with warm white and pale pinks as well as all the usual colours. 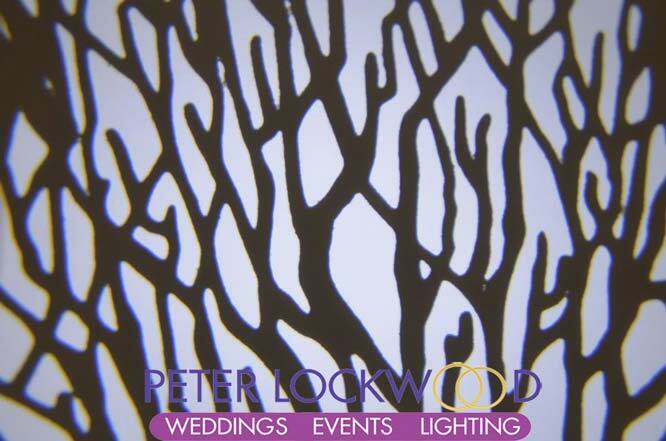 UpLighting hire from Peter Lockwood Events will bring colour to your event. Fairy lights are so on trend at the moment. I carry over a mile of warm white fairy lights. They are not thin christmas lights We only use professional grade fairy lights on white or clear cables. This lets me create amazing fairy light canopies and stunning fairy light backdrops. Festoon lighting is perfect if you are wanting that festival or rustic look at your Wedding. I have stock or both led festoon lights and real lamps. The real 15w lamps can create a lovely rustic tungsten wedding lighting effect that looks amazing in barns and outside areas. We also stock led lamps if you want over 100 meters of festoon lighting. For your first dance hearts would be a good choice, or your monogrammed initials projected on the floor as you dance your first dance. Do you want something different at your wedding? What about about having a wedding monogram, your name or initials in lights at your wedding venue. 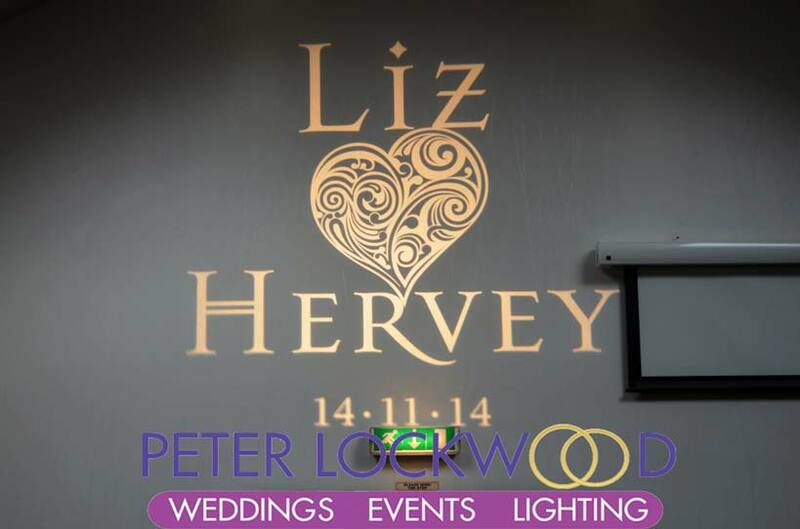 Your names or initials and your wedding date in variety of designs, can be etched on a glass gobo and projected at your wedding on the dance floor or anywhere you want it.